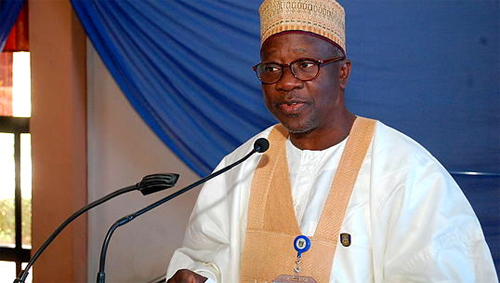 Vice Chancellor of University of Ilorin, Professor Abdulganiyu Ambali yesterday said 104,000 admission seekers were competing for about 11 slots for the 2017/2018 admission exercises. He said the admission seekers have applied for admission through the Joint Admission and Matriculation Board (JAMB) with some of them still writing their CBT exams in different centres across the country. Ambali spoke in Ilorin during the 40th anniversary of the department of History and International Studies of Faculty of Arts of the university. Represented at the event by the Deputy Vice Chancellor, Management Services, Professor Adedayo Yusuf Abdulkareem, the VC stated that “the demand for admission in the university is due to the peaceful and stable academic calendar that has been the selling point of the university”. Ambali also said that infrastructural development, coupled with accreditation of most of the courses being offered, including academic abilities of the students and graduates of the university had made the institution a first choice among admission seekers in the country. Also speaking, the chairman of the occasion, who is also a historian, Alhaji Lasisi Jimoh, said that Nigeria needed to look beyond the 1914 amalgamation for the cause of the prevailing mutual trust and hatred among various people in the country. Jimoh said that the mutual distrust and hatred had triggered agitation for the restructuring of Nigeria. He emphasised the need for study of History in the country, adding that, “we must also study history because it is divine to do so since all the major religions of the world teach us history”.